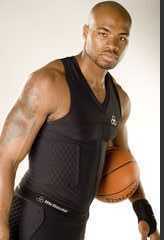 why is corey maggette your favorite player? bada wrote: I have no problem you liking maggette but I dont think you really DO like maggette. I am just saying you are clearly just looking for attention. You have made many posts in the past blasting maggette and now ALL you do is pimp him in every thread. I am just claiming that what you post is not necessarily what you believe, but rather what gets you attention (like "bumping" your own maggette post). I have no problems with you liking any player or coach or whatever or defending said player... that is cool.... but we all know it is not genuine. This thread is just you trying to get attention.